At the US$5.50-a-day threshold, global poverty fell to 46 percent from 67 percent between 1990 and 2015. Despite progress in reducing extreme poverty, nearly half the world's population lives on less than US$5.50 a day, with a rising share of the poor in wealthier economies, the World Bank said Wednesday. 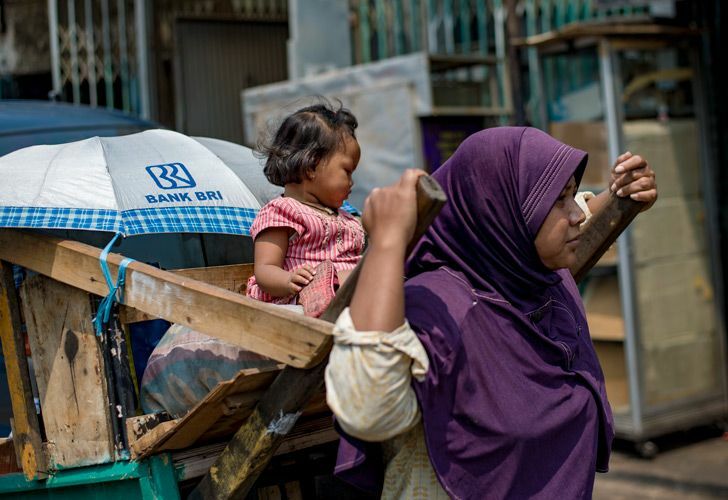 In a twice-yearly report, the bank took a broader look at poverty to see where countries were lagging, even though the share of those living in extreme poverty – defined as earning less than US$1.90 a day – has continued to come down in recent years. Under the expanded criteria for poverty, the report found the number of poor worldwide was still "unacceptably high," while the fruits of economic growth were "shared unevenly across regions and countries." Even though global growth of recent years had been sluggish, the total count of people in poverty declined by more than 68 million people between 2013 and 2015 – "a number roughly equivalent to the population of Thailand or the United Kingdom." Despite the improvement, the report said current trends indicated the World Bank's goal of reducing extreme poverty to less than three percent of the world's population by 2030 may be unattainable. At the US$5.50-a-day threshold, global poverty fell to 46 percent from 67 percent between 1990 and 2015. The bank reported last month that extreme poverty had fallen to 10 percent in 2015. With China's rise, East Asia and the Pacific saw a 60 point drop in the poverty rate to 35 percent, but the region is unlikely to continue to achieve that pace going forward as growth has moderated. And poverty is becoming entrenched in Sub-Saharan Africa, where 84.5 percent of the population still live on less than US$5.50 a day, the report said.